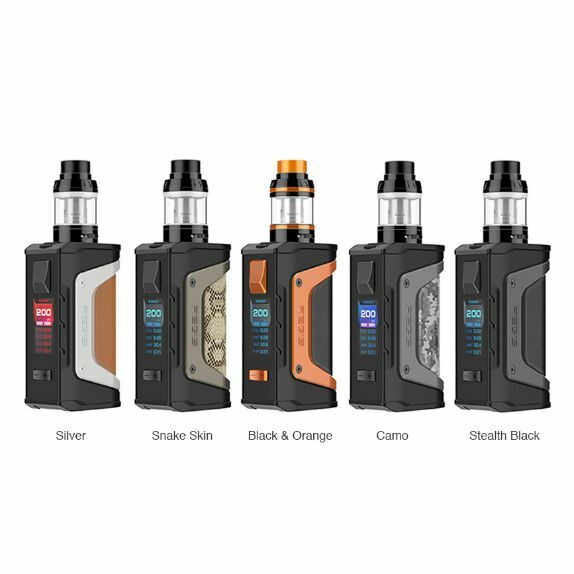 Aegis Legend Kit by Geekvape - Waterproof, Shockproof, Dustproof! The Aegis Legend Box Mod by Geekvape is a 200W box mod that is designed to be both durable and reliable for the intentions of avoiding damage by accident, featuring military standard 810G-516.6 shockproof system and an IP67 waterproof and dustproof system, and can be powered by using dual high amperage 18650 (sold separately). 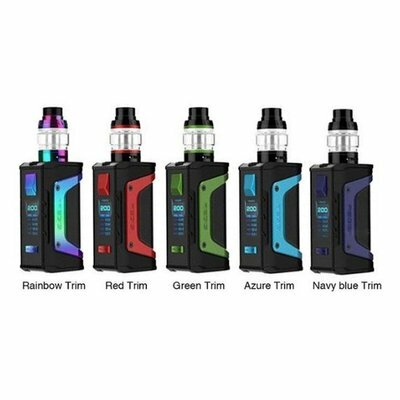 Alongside the Aegis Legend is the Aero Sub-Ohm Tank; a brand new sub ohm tank with 4ml capacity of e-juice with the standard glass tank section and 5ml with the bubble glass and uses a quarter turn top filling design. The Aero Sub-Ohm Tank utilizes the IM Coil Family which consists of the IM1 0.4 ohm (sold separately) KA1 vertical coil rated at 40 to 60W, the IM4 0.15 ohm Ni80 vertical coil rated at 60 to 80W, and the 0.2 ohm KA1 Super Mesh X1 coil rated at 30 to 90W but best at 60 to 80W . Airflow enters the Aero through dual adjustable bottom airflow measuring at 9mm by 2mm each airslots. Located on the top of the Aero is a 8mm tapered 810 wide bore drip tip and a quarter turn top fill system. This Aegis legend kit is a beast! finally quit smoking using this. I bought it for its durability and it's held up to my abuse so far batteries last for a day and the aerotank is awesome for big clouds and flavor recommend using the super mesh X1 coils! 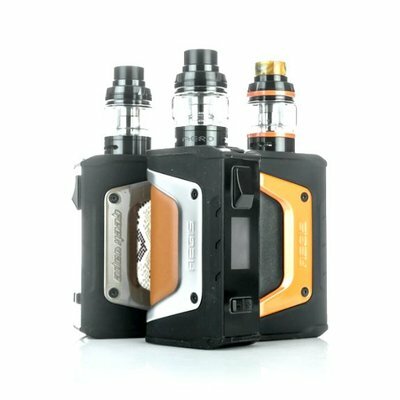 If you're looking for something durable look no further then the Aegis legend! I've been wanting one of these mods for a while now and I'm go glad I it. Paired it with a Free Max Mesh pro and it's by far the best setup I've ever had. Id also like to thank the great staff at Rock Vapor. You wouldn't find a better place! !